For our studio field trip, we packed our bags and drove to Morristown, New Jersey to attend the Mansion in May Designer Showhouse. Each room of historic Alnwick Hall was transformed by a select group of interior designers. All proceeds from the event benefit the Center for Nursing and Research at Morristown Medical Center. One of our favorites rooms was the gorgeous living room designed by The Urban Dweller, Mark Alan Polo. The hand-painted blooms on the wall relate beautifully to the room’s original hand-painted ceilings. Winner of the coveted Tulip Award, was The Guilded Blues Gathering Room by CWI Design. The tones of this room represent the marriage of the Gilded age and Modern era. The gardens were also beautifully curated by talented landscape architects. Some of our favorites were by M. Erbs Fine Gardens (above), and the vertical garden below by Davies Associates Landscape Architects, Foester Landscape Inc., and Celebrity Pools. One of the most impressive aspects of the mansion were the original ceilings. Thank you to the Women’s Association, the designers, and all the volunteers who made the event such a success! 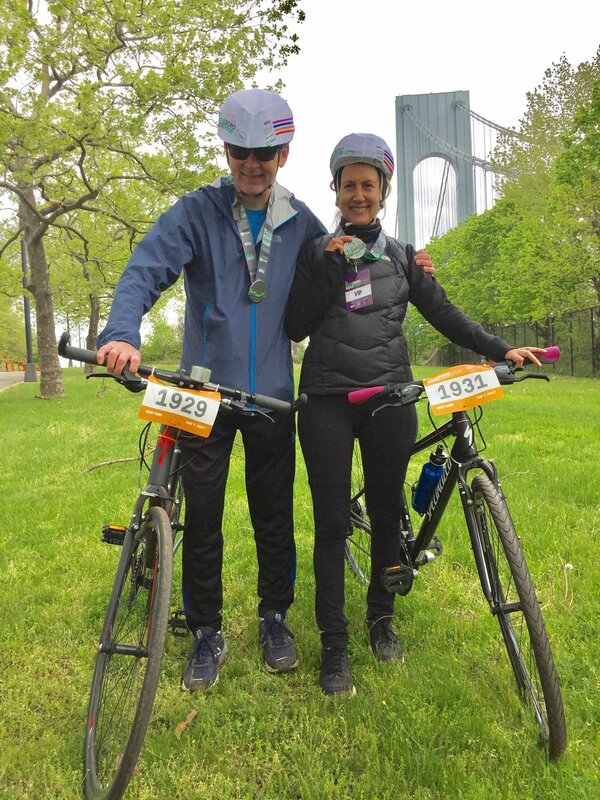 Earlier this month I participated in the 5 Boro Bike Tour with my husband Mike. For one day only, the roads were free cars and the bikers took control! There's no better way to see the city.